The incredible 10th-century Cathedral of Ani is possibly the largest standing structure in the area, with its historical legacy harking back to the medieval Bagratid Armenia. 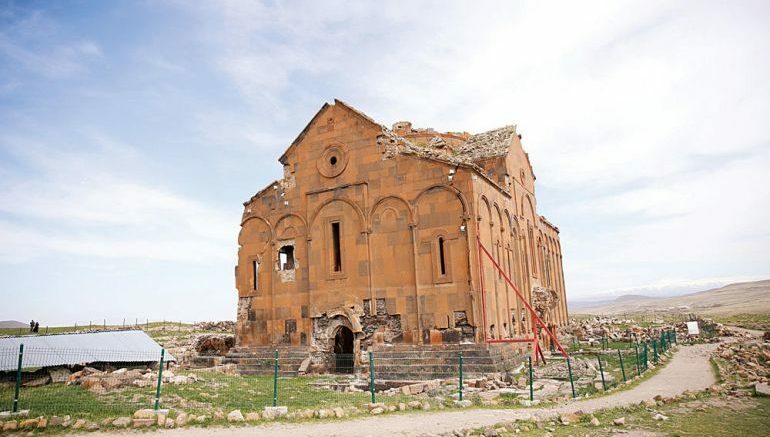 And now after more than a millennium, the UNESCO World Heritage Site, currently located in Turkey’s Kars province, will go through definitive restoration measures – according to Kars Museum director Necmettin Alp (as told to the state-run Anadolu Agency). When it comes to the fascinating history of the Cathedral of Ani, the religious monument, possibly dating back to circa 989 AD, in many ways alluded to the political revival of the Armenian realm. By the last decade of the 9th century, the Armenian kingdom, under the leadership of the Bagratid (Bagratuni) dynasty, gained independence from its Abbasid overlords. By 961 AD, Ani – the new capital of the burgeoning realm, possibly boasted a population of over 100,000 people. The architect of this ambitious medieval endeavor was Trdat, the very same man who was also employed for the restoration of the Hagia Sophia after it had collapsed in an earthquake in the 10th century. The resultant architectural scope translated into an imposing red tuff stone profile crowned with a broad conical dome that was accessible via steps. The reverberating interior complemented this robust structure with high and narrow windows and a deep foundation. 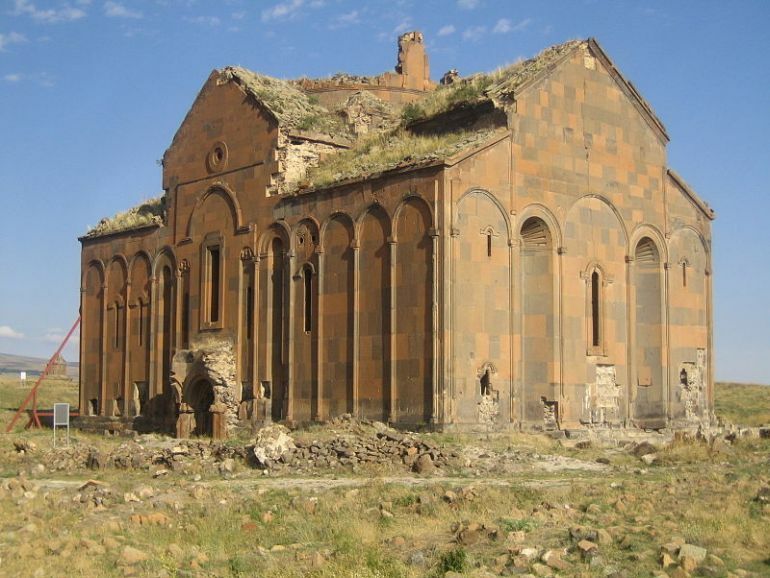 And while the Cathedral of Ani was only completed in 1001 AD (or 1010 AD) under the patronage of Queen Katranide, just five decades later, it was captured and converted into a mosque by the Seljuk soldiers of Alp Arslan (circa 1064 AD). The structure, then known as the Fethiye Mosque (or Fethiye Cami in Turkish) went through periods of upheavals and dilapidation, especially after the disastrous Mongol invasion and sacking of Ani in 13th century AD and three devastating earthquakes in the 14th century, 19th century and as recently as 1998. A meeting was held in March based on a protocol signed between the General Directorate of Cultural Heritage and Museums and the World Monuments Fund for the restoration of this huge architectural structure and after the technical process, the company that won the tender started on the [restoration] work. The restoration work has started quickly and continues on the ruins of its foundation, which have been unearthed during excavations around the historical structure. There will be serious progress on the restorations during the summer. An important step has been taken to protect this meaningful structure.